Speaking to my friends and having the conversations we have is enough motivation for me to take action. For some reason, people have usually looked up to me to make the first move, or to facilitate or say something first. I guess this conditioned pressure has in some ways motivated me to do more, and achieve greater things in life. I know I’ve only written a book, but before my first one I had never done that before, and the conversations I have with my small group of friends has been priceless. It is undisputed that I come from an ambitious and motivated family who really wants the best. I can’t complain and say my conditions were terrible, at times that can be down to perspective, however, we have all worked hard for what we have got. Keeping that into perspective, again, creates an internal pressure for me to outdo my prior self and push forward, not just for myself but for my family. The advice, wisdom and support from family members have been awesome and I am forever grateful. I believe I have God on my side, which may seem like a cocky thing to say but it’s my belief. That quiet confidence is like a whisper in my ear saying “You’re going to find a way because I have done so already for you.” To me, that is enough to motivate me because I know I will always be able to find an answer as long as I have belief. I truly do believe that this is the secret weapon to many people’s success. Apply belief into your life and watch how things will change for the better. Reading has changed my life and doing it regularly conditions and wires my mind towards particular attitudes and behaviours. If you can learn to read avidly and target specific topics, by default you are tailored towards a lifestyle that imitates the topics of the books you read. I usually read for information, so I am always learning. 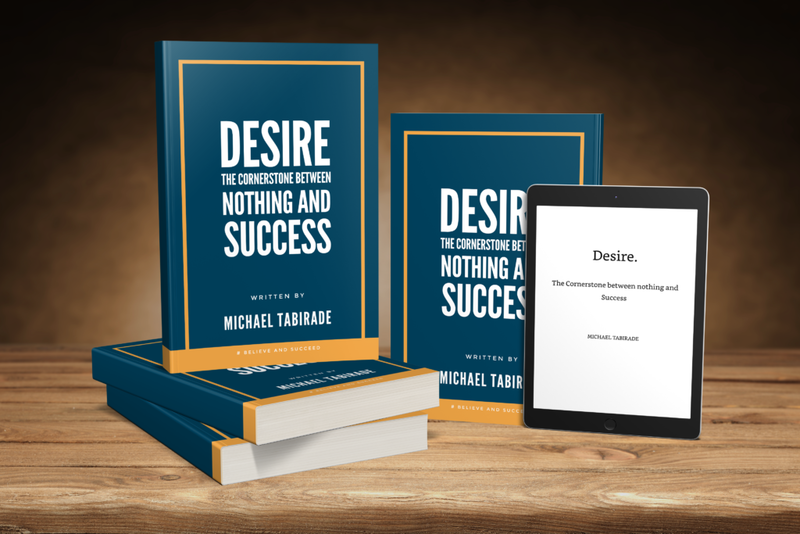 An accelerated way to activate your Desire is to embark on a course that teaches you the strategies for success. Steps and processes can be found online, but a strategy is paid for. I say this because it validates understanding, and shows you how you should be doing things. Find a great course and/or mentor and things will be easier. These are the things that have helped me develop and ignite my Desire for success. If you struggle with activating the will to achieve your goals, then think about whether you have these five things in your environment. To serve as a reminder and a boost in the right direction, start your year strong and activate your Desire with this book! You can now buy it from Amazon.